Never limit yourself, and don’t accept the limits others impose on you. Even if they are trying to help! The truth is, we don’t know where we are going to go, we don’t know just how high we will soar. But if we limit ourselves based on what others have done it the past, there is a likelihood that we will never exceed those expectations. For example, if you told me in high school that I would be a marketer, I may have tried to conform to my expectations of what I thought marketing was. At that time I thought marketing was related to the boring economics class I was taking. In reality, the marketing work I do now didn’t exist back then. If I would have conformed to the vision of marketing that my teacher described I wouldn’t have chosen marketing, or I would be working toward a goal that was outdated. Don’t place your vision in a box someone else created, create the box! 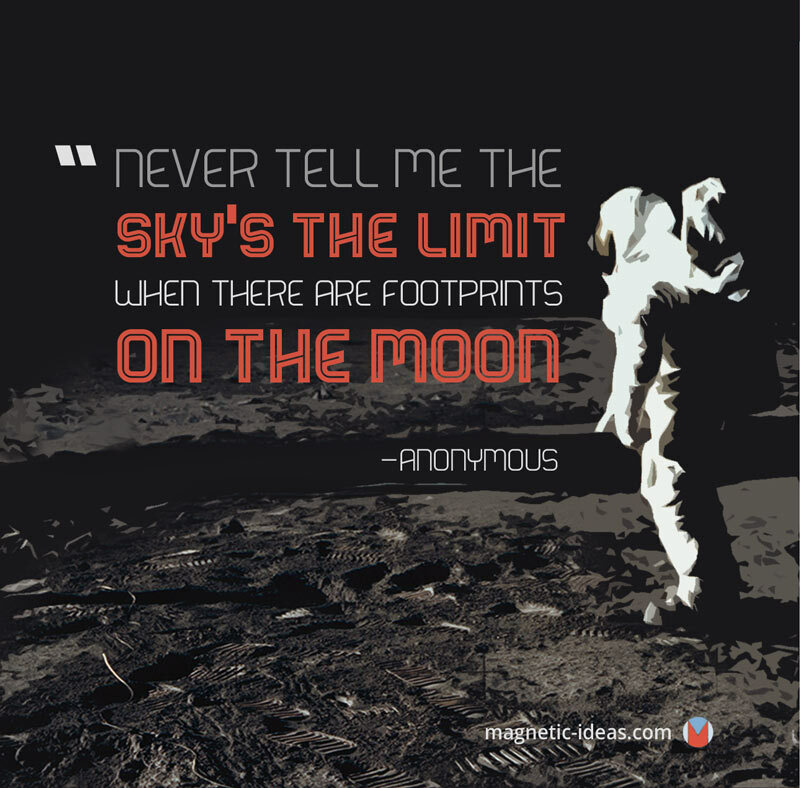 Are you dreaming big and accepting no limitations today?